Child & Family Service | CFS President & CEO Karen Tan in this month’s Hawaii Business Magazine “Talk Story” section! CFS President & CEO Karen Tan in this month’s Hawaii Business Magazine “Talk Story” section! 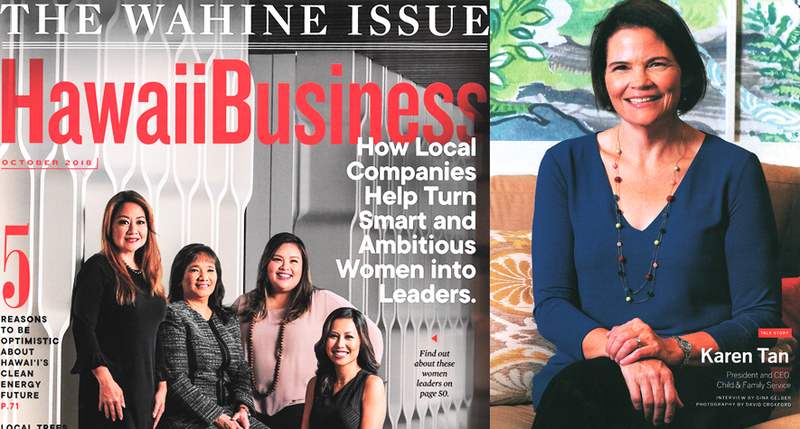 Child & Family Service President & CEO, Karen Tan is in this month’s Hawaii Business Magazine – The Wahine Issue “Talk Story” section! Hear how Karen is bringing national best-practices models to Hawai’i, how CFS stays innovative after 119+, and more!